1) (cos. Lancaster, Leicester, Northampton, Buckingham, and Kent). (Sulgrave, co. Northampton, and Packington, co. Leicester; descended from Robert Washington, of Warton, second son of John Washington, of Whitfield; his eldest son, John Washington, of Warton, was father of Lawrence Washington, Esq., of Northampton and Gray’s Inn, who had a grant of the lands of Sulgrave, 30 Henry VIII. ; his great-grandson, Sir William Washington, Knt., was of Packington). (United States of North America; descended from John Washington, and his brother Lawrence Washington, natives of the North of England, who emigrated to North America during the Usurpation of Oliver Cromwell, about 1657, and settled at Bridges Creek, on the Potomac River. 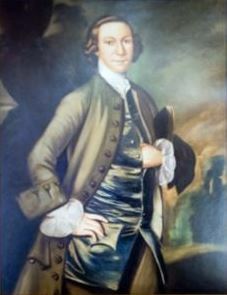 The elder, John Washington, was employed against the Indians in Maryland, and as a reward for his services was made a Colonel, and the parish where he lived was called “Washington,” after him. He m. Anne, sister of Thomas Pope, and had two sons, John and Lawrence; the second, Lawrence Washington, d. 1697, leaving by Mildred, his wife, dau. 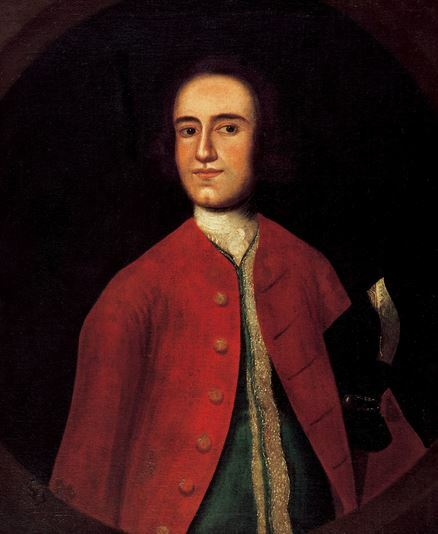 of Colonel Augustine Warner, with other issue, a second son, Augustine Washington, who d. 1743, leaving by his second wife, Mary Ball, a son, George Washington, the Leader of the North American Rebellion, temp. George III., and first President of the United States, b. in Virginia, 11 Feb. 1732, d. s. p. 14 Dec. 1793). Ar. two bars gu. in chief three mullets of the second. Crest—Out of a ducal coronet or, a raven, wings endorsed ppr. Another Crest—Out of a ducal coronet or, an eagle, wings endorsed sa. 2) (co. York). Vert a lion ramp. ar. a border gobonée or and az. 3) Ar. on a fess gu. three mullets of the first. 4) Gu. on a fess ar. three mullets pierced of the field. 5) Gu. two bars ar. in chief three martlets of the second. This Anglo-Saxon last name is an English habitational/locational name denoting a person who came from any of various locales named Washington, such as the location in Tyne and Wear, the location in West Sussex, and the location in Durham (near Gateshead). It derives from the Old English Wassingatun or Wassingtun (settlement of the people of Wassa”, the word tun meaning settlement. In turn, Wassa is likely a shortened or reduced form of a compound name such as Waðsige, which consists of the elements wað (hunt) and sige (victory). The word wassa translates to hunting and hence the settlement may have originally been a hunting lodge. In a few instances, the name can be found spelled as Washingtone. One author claims Wasa and Wassing were Old German names, from the Old Norse hvass, meaning keen or bold. This same author even makes the claim they descend from Gustavus Wasa, the King of Sweden (lived from 1496-1560), who was the son of Erik Johansson Vasa (Lord of Rydboholm Castle in the Roslagen). Others claim the name is not Anglo-Saxon, but rather Norman. In 1183 AD, a Norman (French of Viking or Scandinavia descent) knight named William de Hertburne purchased the village of Wessyngton. As was common at that time, he changed his surname to that of his new land and became William de Wessyngton. 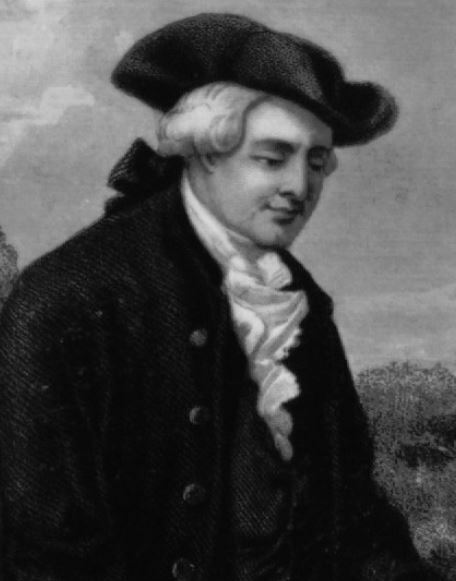 As the years went on, the old spelling “Wessyngton” changed to “Washington”. It is said the family first became established in Durham at Washington, a parish, from which the forefathers of the President George Washington descend (another say they came from Nothamptonshire and previously Lancashire). The last name Washington ranks 138th in popularity in the United Status as of the 2000 Census. The name ranks particularly high in the following eight states: Louisiana, Georgia, Illinois, South Carolina, Virginia, Maryland, Mississippi, and Alabama. The surname Washington frequency/commonness ranks as follows in the British Isles: England (2,902nd), Scotland (4,630th), Wales (4,622nd), Ireland (5,450th) and Northern Ireland (8,430th ). In England, it ranks highest in Cheshire. In Scotland, the surname Washington ranks highest in county Banffshire. In Wales, it ranks highest in Flintshire. In Ireland, it ranks highest in Roscommon. In Northern Ireland, it ranks highest in county Down. The name is also present throughout the remainder English speaking world: Canada (5,309th), New Zealand (2,827th), Australia (2,818th), and South Africa (12,297th). The earliest known bearer of this surname was Ralph de Wassineton who was documented in the Subsidy Rolls of Sussex in 1327 AD. Robert de Wasshinton was documented in the rolls of Lancashire in 1395 AD. John Washington was recorded in the Lancahshire Assize Court in 1401 AD. A one Laurence Wassington was listed in the Register of the University of Oxford in 1567 AD. A one Christopher Washington was documented in the aforementioned register in 1588 in county Northhants, as was one Philip Washington in county York in 1605. An early marriage involving this surname was Mary Washington to Thomas Read at St. George’s Hanover Square in 1780. The progenitor or ancestor of this family was Sir William Fitz-Patrick Hertburn de Washington who was born in England in 1160 AD. He married Margaret Dunkeld of Huntington and had a son with her named William. This son, William de Washington, was born in Durham, England around 1187 AD. He married Alice Lexington and had a son with her named Walter. Walter was born in Washington, England in 1212 AD. He married Joan Whitchester and had a son with her named William. This Sir William Washington was born in 1245 AD. He married Margaret Morville and had a son with her named Robert. This Robert Washington I was born around 1275 AD. He married Jan Strickland and had a son with her named Robert. This Robert II Washington was born around 1296 AD and he married Agnes Gentyl and he had two issue with her: Agnes (Lawrence), and John. The following is a pedigree beginning with his son John. Lawrence Washington (born in Tewitfield in Warton, England around 1500 AD). He had two wons named Robert and Laurence. His son Robert Washington was born in Sulgrave, Northamptonshire in 1544 AD. 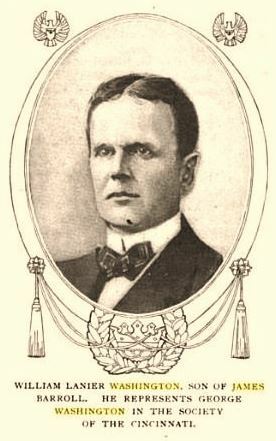 He married Elizabeth Light and Anne Fisher and fathered three sons: Lawrence, Walter, and Thomas. 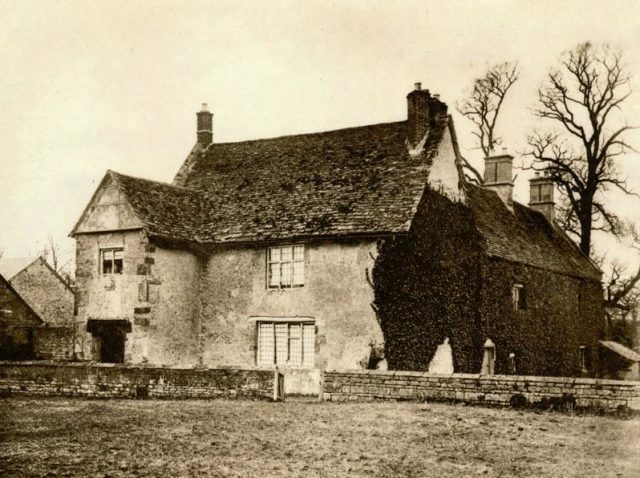 His son Lawrence Washington was born at Sulgrave Manor in 1568 and he married Margaret Butler, with whom he had the following issue: Elizabeth, Jane June, Robert, John, Richard, Amy, William, Anne, Leonard, Lucy, Lawrence, Margaret, Thomas, Gregory, George, Alice, Joan, Barabara, and Frances. He died in Brington, England in 1616. His son Sir William Washington was born at Sulgrave Manor around 1594 and he married Anne Villiers, having four children with her: Henry, Susanna (Grahme), Elizabeth Legge, and George. His son George was born in Westminister, London in 1620. Lieutenant-Colonel John Washington was born in Tring, Virginia in 1631 and he later came to colonial America where he became a planter in Virginia, as well as a soldier and politician. In 1658, he married Anne Pope, and had three issue with her: Lawrence, John II, and Anne. He was the great-grandfather of George Washington. There is a society founded in 1954 known as The National Society of Washington Society Family Descendants. Early settlers in colonial America bearing this surname include Richard Washington (Virginia 1639), John and Lawrence Washington (Boston, Massachusetts 1657), Edward Washington (Virginia 1663), Henry Washington (Virginia 1664), Jededia Washington (Virginia 1705), Elizabeth Washington (Virginia 1705), and Richard Washington (Maryland 1718). In Canada, one of the earliest bearers of this last name was Margaret Washington who came to the province of Nova Scotia in 1827 AD. In Australia, a family of the surname Washington came to the city of Adelaide in 1840 aboard the Orleana, including James, Ann, Selina, Martha Ann, and Thomas. 1) Argent 2 bars gules. In chief 3 mullets gules. Motto: Exitus acta probat. Painted by Carlotta Reed Stuart. Framed. Mt. Vernon. Va.
2) Argent 2 bars gules. In chief 3 mullets gules. Crest: out of a ducal cor an eagle rising or (? ).Motto: Exitus acts probat. Bookplate Bushrod Washington. The President’s plate has an eagle sable and apparently a bordure gules. John, son of Robert, left his armorial seal to his son, Wm. Henry, 1785. Va. Hist. Mag., vol. 23, p. 99. The catalogue of the Wm. Lanier Washington sale, N. Y., April 19, 1917 (Anderson Galleries) gives a picture of G. W.’s gold seal with the shield and crest as above, the bars only tinctured. Although the President’s bookplate shows as a crest a bird like a raven or dove the Boston Transcript, Feb. 21, 1920, shows on the stained glass at Fawsley Church (formerly at Sulgrave) an eagle, also at Thrapston (Sir John) and at Cambridge, Eng. (Rev. Godfrey). 3) [Argent] 2 bars [gules] and in chief 3 mullets [gules]. Impaling [azure] a chevron between 3 covered cups [or?] (Butler). 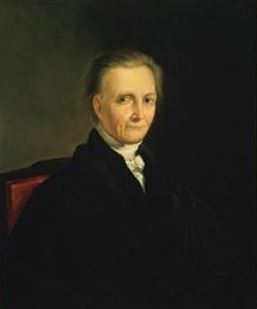 Lawrence Washington, father of the immigrant. Butler of Tees, Co. Sussex. Slate facsimile of slab in State House, Boston. 4) Argent 2 bars and in chief 3 mullets (pierced?) gules. Motto: Virtus sola nobilitas. Bookplate Jane Washington and Felix Grundy Ewing of Glenarm, engr. by A. H. Noll. 5) [Argent] 2 bars and in chief 3 mullets. The bars dotted as if or. Robert Washington (d. 1622) uncle of the immigrant to Va., with a crescent for difference. Slate facsimile of slab at Sulgrave, Co. Northants in State House, Boston, Massachusetts. 1) John Washington of Bridges Creek, Virginia 1657, from Northampton originally. Argent, two bars gules, in chief three mullets of the second. Crest: first, out of a ducal coronet or, a raven’s wings endorsed proper, 2) Out of a ducal coronet or, an eagle’s wings endorsed sable. Motto: Exitus acta probat. 1) William Lanier Washington who was born in Montgomery, Alabama who was born in 1865 and was educated at Western University of Pennsylvania and served as the President of Elliott-Washington Steel County, as well as Chairman of Pittsburgh Sheet Steel. Arms: Argent, two bars gules in chief three mullets of the second. Crest: A raven with wings endorsed proper issuing out of the ducal coronet or. He was the son of Major James B. Washington ((1839-1900) of Virginia and grandson of Colonel Lewis William. He descended from Lewis Lanier of Bordeaux, France who immigrated to America around 1650. I have been able to identify two family mottoes for Washington: Exitus acta probat, meaning “The outcome justifies the deed”, and Virtus sola nobilitas, meaning “Virtue is the only nobility”. We have five coats of arms for the Washington surname depicted here. These five blazons are from Bernard Burke’s book The General Armory of England, Ireland, and Scotland, which was published in 1848. The bottom of this page contains the blazons, and in many instances contains some historical, geographical, and genealogical about where coat of arms was found and who bore it. There are hundreds of notable people with the Washington surname. This page will mention a handful. Famous people with this last name include: 1) George Washington (1789-1797) who was the 1st President of the United States and Commander-in-Chief of the Continental Army during the American Revolution, who was born into a gentry family of planters in colonial Virginia, 2) Booker T. Washington (1856-1915) who was a black American educator, orator, and author born in Hales’ who is held in high regard by business-oriented conservatives, 3) Bushrod Washington (1762-1829) who was an Associate Justice of the Supreme Court of the United States who was nominated by President John Adams and served for 30 years between 1798-1829, 4) Dinah Washigton (1924-1964), birth name Ruth Lee Jones, was an American jazz singer and pianist who was an influence black female recording artist in the 1950s who performed jazz, blues, R&B, and pop music, 5) Denzel Hayes Washington Jr. (1954) is an African-American actor from Mount Vernon, New York, who is known for numerous films including Malcolm X, The Hurricane, American Gangster, and Remember the Titans, 6) William Dickinson Washington (1833-1870) who was an American painter and art teacher best known for his painting The Burial of Latale, a symbol of the Lost Cause of the Confederacy, 7) Megan Alexandra Washington (1986) who is an Australian singer-songwriter born in Port Moresby, Papua New Guinea, 8) Kermit Alan Washington (1951) who is a former American professional basketball player who played for five different teams (including the Los Angeles Lakers and Portland Trail Blazers) for 15 years from 1973-1988, 9) Kerry Marisa Washington (1977) is an American actress born in The Bronx, New York who is best known for her role on the TV show Scandal, and 10) Reverend Lawrence Washington (1602-1653), an English rector in Northamptonshire who was the great great grandfather of George Washington. The most prominent symbol in the Washington Coat of Arms (erroneously called the Washington Family Crest) is the mullet (or star). The heraldic mullet, not to be confused with the fish of that name, is shown as a regular, five pointed star. This was originally, not an astronomical object, but represented the spur on a horseman’s boot, especially when peirced, with a small circular hole in the centre it represents a type of spur known as a “rowel”. A clear example can be found in the arms of Harpendene, argent, a mullet pierced gules. The ancient writer Guillim associated such spurs in gold as belonging to the Knight, and the silver to their esquires. In later years, Wade linked this five pointed star with the true celestial object, the estoile and termed it a “falling star”, symbolising a “divine quality bestowed from above”. The most prominent tincture (color) is gules (red), which signifies or conveys warriors, military strength, martyrdom, and magnanimity.